Change can be a good thing, and it was long overdue for Italy's Hollow Haze. They've parted company with screamo vocalist Alex Sonato whose vocals were basically in-your-face Sean Peck relentless. 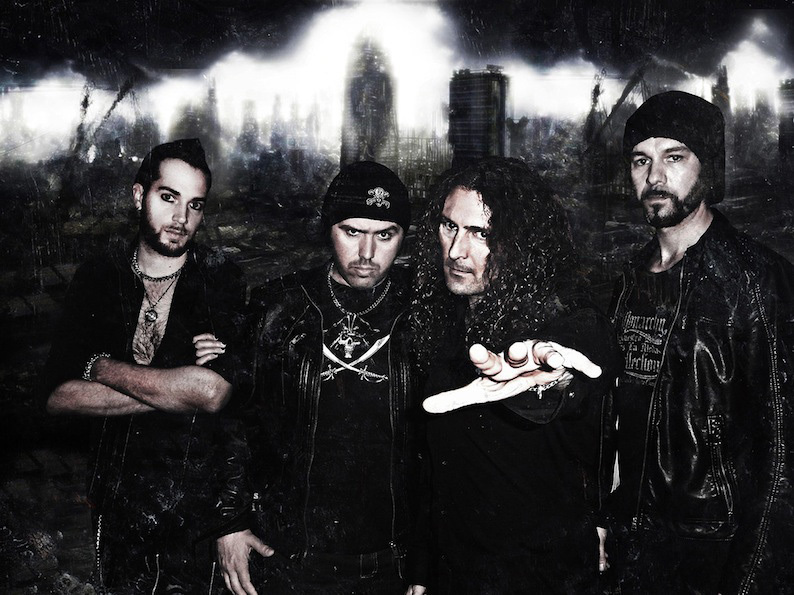 Enter vocalist Fabio Lione (Rhapsody Of Fire, Kamelot) a more versatile and melodic singer for the band's fifth album Countdown to Revenge. Given his past experience, his voice fits well with Hollow Haze's metal style. Things could only get better. Hollow Haze: with Fabio Lione. And they do. Countdown to Revenge is the the album, the symphonic and melodic power metal sound, that Hollow Haze has been after all these years. Everything about this recording, from song composition to performance, sounds better than past efforts. 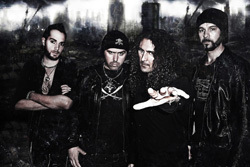 It seems that the rest of the band has been invigorated by the injection of Lione's talent. And that's a good thing. There will be those who will pass off Countdown to Revenge as more typical European power metal or Rhapsody of Fire mimicry And I get that. Hollow Haze gets help from Antarktica and Wintermoon Orchestra giving the entire album the bombastic and epic flair common to both. A Fading Angel's Life, Countdown to Revenge, No Rest For The Angels, and We Must Believe do not disappoint for these things, being powerful and soaring. Sometimes the orchestration gets toned down as in Il Tempo Del Fuoco or Life Has No Meaning, only to rise in particular moments lest you forget. Then there's Lione's vocal arrangements which are, simply, as grand and powerful as the music, maybe even more elaborate. While convincing throughout, on A Fading Angel's Life, Countdown to Revenge, and No Rest For The Angels he's particularly inspired. As said before, the melding of Lione's vocal style with Hollow Haze's symphonic power metal is what makes Countdown to Revenge work so well and sound great. Call it a new beginning fro the band, and you might be right. Recommended. 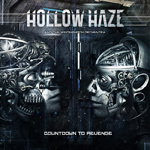 The melding of new vocalist Fabio Lione's vocal style with Hollow Haze's symphonic power metal is what makes Countdown to Revenge work so well and sound great.